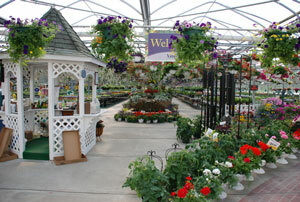 Vite Greenhouses is one of the largest Independent Garden Centers serving all of southwestern Michigan and northern Indiana. As a "grower/retailer", we grow nearly all the plants we sell from small plugs planted early in the year (and some in the preceding fall). We work hard to make sure our guests not only take home the selection of beautiful and healthy plants they came out for, we strive to give them a "Wow!" experience while they are visiting with us. 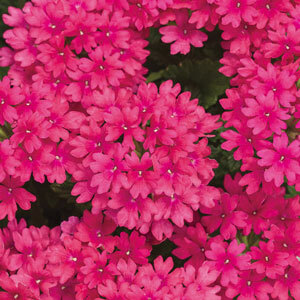 On this web site, you can find information on every plant we sell. Simply browse among the menu options above to locate plants for that particular location or with that particular characteristic you are looking for. The plant information pages are a "work-in-progress" as we obtain information from the plant breeders, so please check back often. Easily locate any plant in our greenhouse! We've developed a fun and interactive map that shows you where you can find the plant you are looking for in our expansive greenhouse! When viewing any plant list, simply click on the link in the "Greenhouse/Nursery Location" column for the plant, and a map of the greenhouse is displayed with the plant's general location circled! You can even print that map out and bring it with you to quickly find the plant. How fun is that?